UTHealth School of Public Health is unique among public health graduate schools as it is the only institution in the nation comprised of multiple campuses. With campuses spread across the State of Texas, students have countless opportunities to use the diverse outreach and community resources available to them and to participate in research at any site. 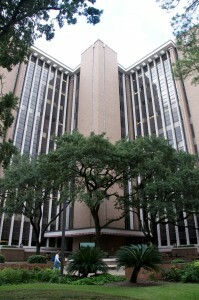 In addition to the largest and oldest campus in Houston, additional campuses are located in Austin (est. 2007 ), Brownsville (est. 2001) Dallas (est. 1998), El Paso (est. 1992) and San Antonio (est. 1979). The Master of Public Health degree, doctoral degrees and certificate programs are offered at all campuses. Each campus has its own unique environment, faculty and research specialties. The Austin campus focuses on child obesity and health promotion. Border health is a priority for both the Brownsville and El Paso campuses. The Brownsville campus has a strong diabetes and tuberculosis research interest. The El Paso campus is involved in designing new prevention techniques to help underserved communities. The Dallas campus has research interests in health disparities and addiction research while community health and public health practice are central to the mission of the San Antonio campus. In addition to providing on-site classes, UTHealth School of Public health uses Interactive Television (ITV)—allowing students to attend and participate in school classes originating at any of the campuses. Online classes are also offered to all students.